The city of Agra is mostly visited for the beautiful Taj Mahal, but there are many more grand monuments worth seeing when you travel to this historic city. Agra was ruled by Mughal dynasty for a long period of time and under its reign Agra has been endowed with many fine buildings and monuments. Monuments in Agra will leave you awestruck and mesmerized. 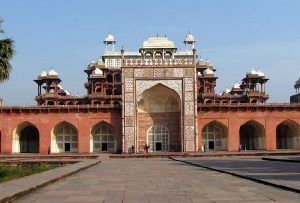 Great monuments of Agra include the Agra Fort, which embraces grand halls and palaces and the tomb of Itimad-ud-Daulah, a model for the Taj Mahal. Agra is one of the richest heritage sites in India where many remarkable Mughal monuments can be found. 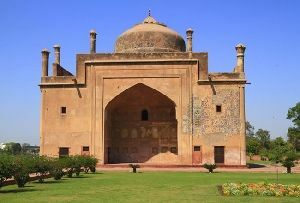 Monuments in Agra India are diversified from the splendid Taj Mahal to sober tombs like Akbar's mausoleum at Sikandra. The monuments in Agra have exceptional architectural features and are the epitome of the best examples of Mughal architecture in India. 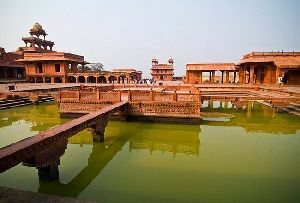 Mughal monuments in Agra will fascinate you and make you walk down the corridors of the glorious past. 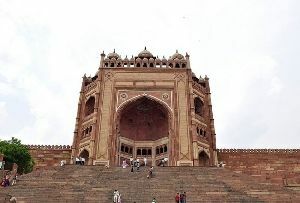 The marvelous feats of engineering are behind the creations of the massive structures such as the Buland Darwaza and the Jami Masjid in Fatehpur Sikri and the spectacular Taj Mahal in Agra, are awe inspiring. Agra Monuments continue to astonish architects and engineers in recent times when technology and the work system have advanced in a tremendous way. The architects of that time were deprived of latest advances still there were masters at their field which resulted in creating such monuments. Engineers of today are left spell bound with the astounding ingenious systems of water supply and natural cooling of earliest monuments of Agra. Artists and historians value the fine inlay work, the decorative devices and the synthesis of Indian and Persian elements seen in these monuments of the Indo-Saracenic school of Architecture, which boomed under the Mughal Empire. The monuments in Agra India are an enduring piece of India's architectural heritage. The Agra Fort is positioned on a bank of the River Yamuna in Agra. This massive monument in Agra has many palaces, gardens mosques within its complex. 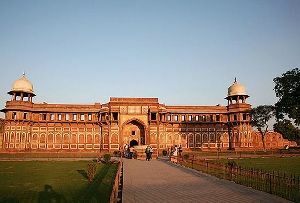 At a distance of four kilometers from the city of Agra is the mausoleum of the Mughal emperor Akbar. This famous monument in Agra has a wonderful culmination of Hindu, Christian, Islamic, Buddhist, Jain motifs. Another great monument of Agra is the Chini-Ka-Rauza which is a tomb of glazed tiles and is a monument in honor of the poet-scholar and later the Prime Minister of Shah Jahan, Allama Afzel Khal Mullah Shukrullah of Shiraz. 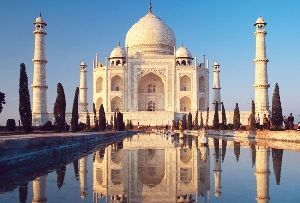 Taj Mahal, the mausoleum of Mughal Emperor Shah Jana's chief wife, Mumtaz Mahal, has become synonymous with India. 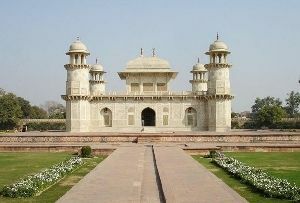 This is one of the splendid monuments in Agra. It's curving, gently swelling dome and the square base upon which its rests so lightly is a recognizable image on hundreds of brochures and travel books. The Taj is unquestionably one of the most impressive buildings of the world. It is reckoned among man's most prized creations and is invariably included in the list of the world's foremost wonders and is legendary for its architectural magnificence and a esthatic beauty.